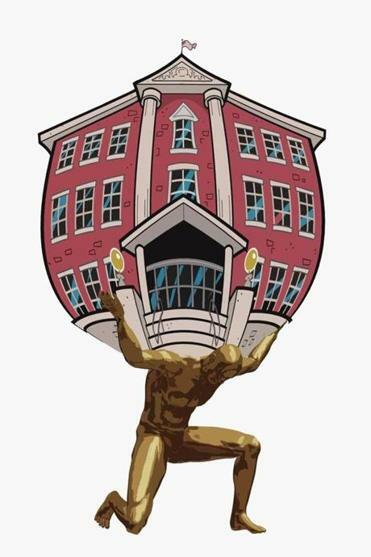 School counselors face a herculean task. Consider a typical counselor’s daily routine: In the morning, meet with students to review their classes: What credits do they still need to graduate? What courses will help them get into college? Next up, a meeting with a student struggling in math class: Can the counselor arrange tutoring after school? Another student has been acting out in history class and needs to meet with the teacher. Then a meeting to discuss a child’s individual education plan, laying out strategies to support his dyslexia or her ADHA. In between, the counselor will squeeze in calls to the homes of students who aren’t coming to school. Likely as not, a student will show up at their door unexpectedly, upset and seeking support and advice about challenges in school, at home, or with a friend. If they’re working at a high school, counselors need to fit in meetings about students’ college options — whether they’ve taken the SATs yet, filled in financial aid forms, or need help finishing their application. The juggling act starts again the next day. In Massachusetts, one school counselor is, on average, responsible for supporting the academic growth, emotional health, and future success of approximately 410 public school students, according to the most recent data from the American School Counselor Association. Even at the ASCA-recommended ratio of one counselor to every 250 students, the task is daunting, perhaps impossible. Moreover, 1 in 5 US high schools has no counselor at all, according to a 2014 US Education Department’s Office of Civil Rights report. There is a wide body of research supporting the positive impact of counselors throughout the K-12 system. Elementary schools with comprehensive school counseling programs have higher student academic outcomes, according to research from the University of Scranton and other institutions. Lower counselor-to-student ratios are correlated with fewer discipline cases and higher graduation rates, according to research from the University of Massachusetts Amherst.In high school, students with greater access to counselors are more likely to apply to college, according to another study by the University of Maryland, and are more likely to graduate from high school on time, according to a review of the research by the American School Counselor Association. Simply put, counselors matter. In many schools they may be the only staff member responsible for understanding each child as a whole person. For first-generation college applications, counselors are essential for helping students navigate the complex college admissions process. Yet in too many schools, counselors are under-supported and shoulder unmanageable caseloads. Too often, their time is also eaten away by unrelated school responsibilities — including clerical duties, data entry, and student discipline. Several states have pioneered approaches to expand counseling. In Indiana, the Department of Education teamed up with state-level organizations to create the Gold Star School Counseling Award — an incentive program to honor and fund schools who implement robust counseling programs. Colorado has gone even further — proving that investing in students’ futures is economically smart. In 2008, the state created the competitive Counselor Corps Grant Program, aimed at increasing the number of high school counselors in certain schools. Over a decade, the program has funded more than 200 counselors across 233 high schools. The additional counselors seem to have had a striking impact: Dropout rates decreased, and graduate rates and college matriculation rates increased dramatically compared with schools that didn’t received grants. Moreover, the Colorado Department of Education estimates that for every dollar spent on the program, it saves two dollars that would otherwise have been spent on safety-net and associated programs. The Commonwealth would do well to look to Colorado, which shows that lowering the counselor gap is not only effective, but also pays for itself. We could start by funding programs in our gateway cities and then expand out. It is past time for Massachusetts to ensure all students have robust academic, social, emotional, and career counseling. Jessica Lander is a teacher and author living in the Boston area.